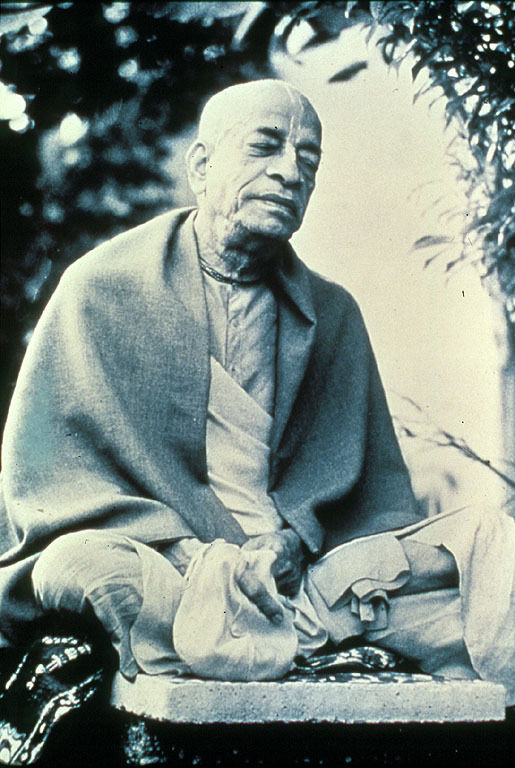 This blog site is dedicated to His Divine Grace A.C. Bhaktivedanta Swami Prabhupada. It will explore the news and issues inside The Hare Krishna Movement as established by Srila Prabhupada. This site will work in conjunction with the web page http://www.theharekrishnamovement.com . It has been requested that we include a mission statement on our about us page. 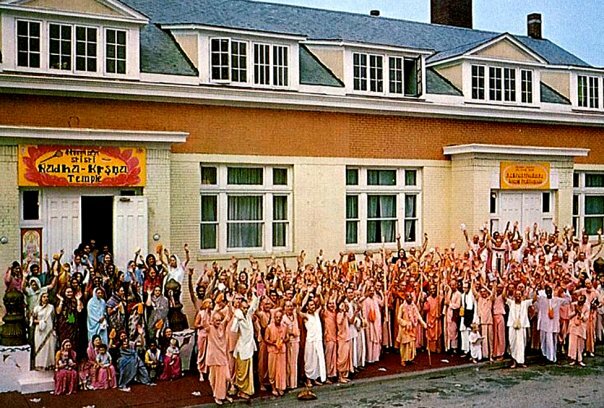 So to put it rather simply, we are promoting Srila Prabhupada; The Founder Acarya of the International Society for Krishna Consciousness, his Original writtings, his teachings, and his instructions for the world. We are promoting Sankirtan or the congregational chanting of the Lord’s holy names, Book Distribution, Vegetarian Cooking and Cow Protection. We encourage others to take to the chanting of the Hare Krishna mantra, which is the sublime method for reviving our original Krishna Consciousness, or God consciousness, and to read and distribute these wonderful books by His Divine Grace for the upliftement of the human society. Hare Krishna! All glories to the devotees who have made this….you have LOVE for Srila Prabhupada ! Sober. True to Prabhupad vani. Please can I know from where you got the Original Books of Srila Prabhupad for comparision with the later version ? Very Happy to see this website by the devotees ! Please accept our respectful obeisances. All Glories to Srila Prabhupada! You can scan your letter and mail it to me, and I will be glad to post it from our site. You are also welcome to write an accompanying story. We will be happy to post both into cyberspace. My name is Bhaktin Agata and I am currently trying to promote the 4th annual Vaishnava Sanga festival through ISKCON Ottawa Canada. I came across a few of your beautiful pictures of Srila Prabhupada and devotees engaging in Sankirtan. I was wondering if we could humbly ask for your permission to use some of these pictures as images on our website and posters? (I tried to find an email address to reach you at but unfortunately was unable to). Hoping to hear from you soon – and of course we extend an invitation to all for the Vaishnava Sanga festival in Canada this summer! Sure! use anything from my site that you would like. I am just a teenager and i have started to learn more about srila prabhupada and krishna. I want to be a devotee of the lord and i do not know how exactly should i? For as far as all that i have read and heard, i know that we are all under the clutches of the material world. I do not know precisely how to get out of it. I even chant whenever i can, i try to wake up quite early than usual and practice yoga while remembering the lord and take up to reading the Bhagavad Gita as it is. Since you are Srila Prabhupada’s disciple i thought it ought right to ask you for more guidance. My best advice to anyone and everyone is simply to chant Hare Krishna as much as possiable, and to read Srila Prabhupada’s books everyday. Hkp,pamho,agtsp,I want original srila Prabhupada Bhagavatham without editions .. Thank you for your compassionate and empathetic values.